The Benefits of an RHS Membership Oct 18, 2017 I have been studying for my Royal Horticultural Society (RHS) Level 2 certificate online with the Academy for Distance Learning for a few months now, and I&rsqu.. The Shortcut to an RHS Diploma in Horticulture Dec 06, 2017 You might not know this, but there is actually a much faster route these days, especially if you have some experience of gardening before you start! This is .. 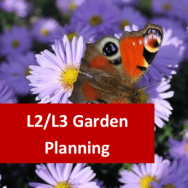 Studying the RHS Course: FAQ Feb 22, 2018 Dr Lee Raye, the writing tutor here at ADL, has been studying on our RHS Level 2 certificate course this year. We had a chat with them about how they are doing ..
Three Great Youtube Channels For Horticulture Students Sep 18, 2018 Horticulture is one of those subjects that feel counter-intuitive to online learning. The very practical aspect of it makes it seem a bit silly to get a distanc..
How I passed my RHS Level 2 Exams Oct 24, 2018 It’s official! After only one year of online study at the Academy for Distance Learning, I have just received my certificate from the RHS. I’ve pass.. Tips for Beating Exam Stress Feb 07, 2019 For any of our students, RHS or otherwise, exams are part of your course. If you have an exam coming up, be wary of the following: Tension .. The Four Best Books for RHS Level 2 Apr 04, 2019 One of the very first and most frustrating things that I learnt as a tutor was how little difference there is between the best assignments and those that on.. The Jewels of Learning Apr 04, 2019 Right now, learning has a bad rep. This is in part due to a few myths about learning (that it’s too hard, or only for young people, or too e.. I would like to be able to sit the exam for the RHSL301 (Principles of Plant Growth etc) in June 2019. Would this be possible if I am able to put the study hours in? Thank you, Carolyn. This should not pose a problem The total qualification time is given as 180 hours, so there is plenty of time between now and June to prepare for the exams. 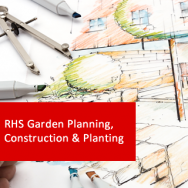 Thank you for getting in touch about our RHS courses. You are correct in saying that level 2 is not compulsory.We advise level 3 as a prerequisite because level 3 will assume that you will have gained knowledge from what is taught in its level 2 equivalent. However, if you feel that you advance directly to level 3, you are very welcome to. Your Career in Horticulture Continues Here! 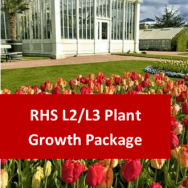 Now that you have completed the RHS Level 2 Certificate in the Principles of Plant Growth, Propagation and Development, you're ready to step up a gear. This advanced course is also accredited and globally recognised and it will help you to develop additional horticultural skills and knowledge to an even higher level. By successfully completing this course, you will have further expanded and developed the practical skills necessary in the practical application of these principles. 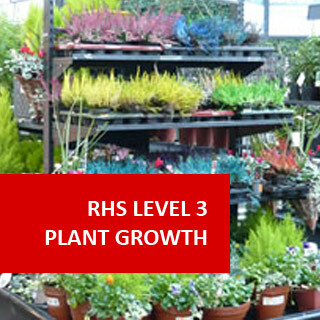 To obtain the RHS Level 3 Certificate in the Principles of Plant Growth, Health and Applied Propagation, you will need to pass four unit exams. These are held by the RHS in February and June every year and you should be aware that there are deadline dates by which you need to apply to take them and that the fees are paid separately. Students should register as an external candidate with an RHS Approved Centre to take exams, or contact qualifications@rhs.org.uk for details. To help fully prepare you for the exams, there are past test papers readily available. The Total Qualification Time (TQT) given for this course is 180. You can be assured that all of the course work and resource materials (revision workbook, PowerPoint presentations etc. ), have been written by experienced professionals who have prepared everything in line with up-to-date RHS guidelines for learning providers.The syllabus is broken into the four units and because many people choose to spread their exams over the two examination months available, it means you can target your learning to those you want to take first. Please contact us if you just want to take one unit at a time. Everyone gets online access to ADL's learning platform and the learning materials, which can be downloaded in a pdf. format to study offline and to print off for making notes and highlighting particular sections of interest. You can also choose to have the course posted to you on a USB memory stick. At ADL we pride ourselves on the quality of the unlimited admin and tutor support we provide to our students. Our support team are there to help you with anything they can, whilst our tutors are seasoned industry related professionals, suitably qualified in horticulture and very happy to share their wealth of experience. If you are intending to study from abroad (other than Ireland), you will need to email qualifications@rhs.org.uk to request an exceptional supervision form before applying to take the exams. 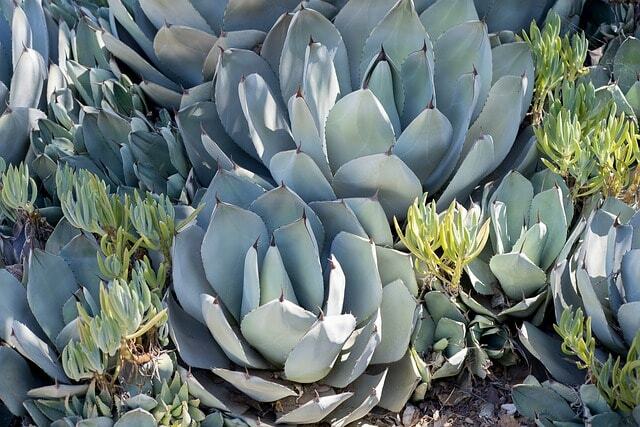 This means that you can complete the course from abroad and get an internationally recognised qualification from the Royal Horticultural Society. 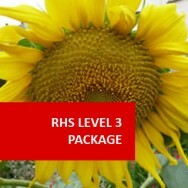 RHS student membership for the first 12 months. 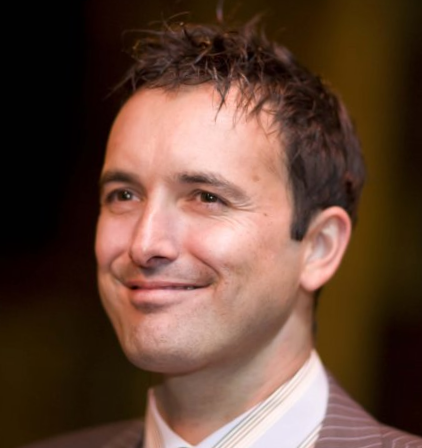 "I am delighted to report that I passed the exam and received a "Pass with Commendation." 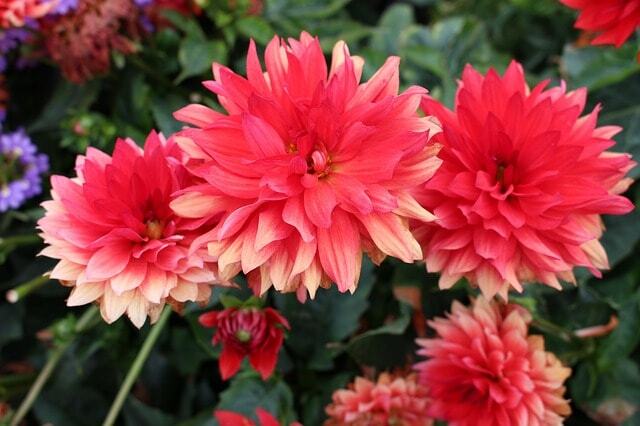 I appreciate very much the detail that you went into, in the the correction of my assignments and I found your advice and extra subject information invaluable in advancing my interest and knowledge in horticulture". Go raibh mile maith agat! (a thousand thanks!) Colin, RHS Certificate II , Ireland. Capon, Brian Botany for Gardeners Rev Edn Timber Press 0881926558 - Good clear plant science. Adams, C. and Earley, M. Brook, J and Bamford, K. Principles of Horticulture Level 3 Routledge, 0415859093 Previous editions of Principles of Horticulture are useful, and the Sixth Edition was revised for the latest syllabus changes, but now the book has been divided into two and this separate volume covers the level 3 syllabus speicifically. Most useful additional textbook for this course. Ingram, D., Vince-Prue, D. and Gregory, P. Science and the Garden Wiley-Blackwell; 3rd Revised edition 111877843X This was designed by the RHS to cover the syllabus for the Advanced and Diploma, so although a lot of the material is taken beyond the level required for the exams, making it not as approachable as some other texts, it covers all the required science. For the new level 3 Certificates regard it as background reading, not core. Clegg, C.J. Green Plants: The Inside Story John Murray 0719575532 - Excellent clear and cheap explanation of introductory science, an AS level textbook. 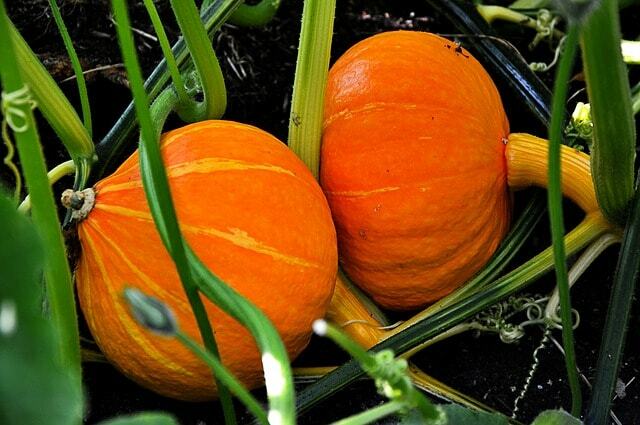 However, remember that some parts will not be necessary for the RHS syllabus – it is not A-level plant science. Bird, C. (ed) The Fundamentals of Horticulture: Theory and Practice Cambridge University Press 0521707390 Some good information but variable in its level, better for level 2. Thompson, Ken An Ear To The Ground: Understanding Your Garden Eden Press 01903919207 ‘Forthright, breezy and authoritative...It is about time someone told it how it really is.’ Ursula Buchan. 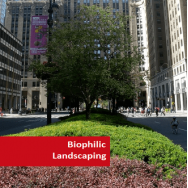 manages to make articles on quite advanced science very readable - and relevant to real horticulture. The Art and Science of Gardening Explained & Explored Mitchell Beazley 1845338332 an excellent readable set of articles from The Garden covering some up to date areas of plant science, very good background going beyond level 3 in places. 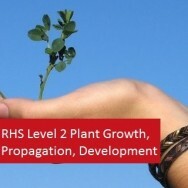 Course Prerequisite Level 2 Plant Growth is advised, as level 3 will assume you have knowledge from level 2. 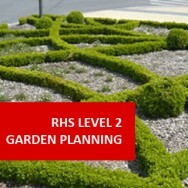 Course Qualification (Study Option A) Recognised qualification from the RHS. N.B. Course fee does not include exam fees.